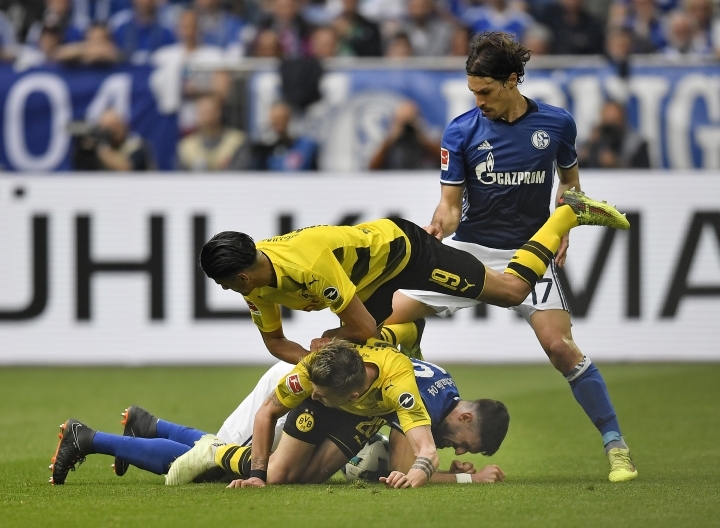 BERLIN — Schalke beat rival Borussia Dortmund 2-0 in the Ruhr derby on Sunday to consolidate second place in the Bundesliga and take a giant step toward guaranteeing a Champions League spot. "It's something special. 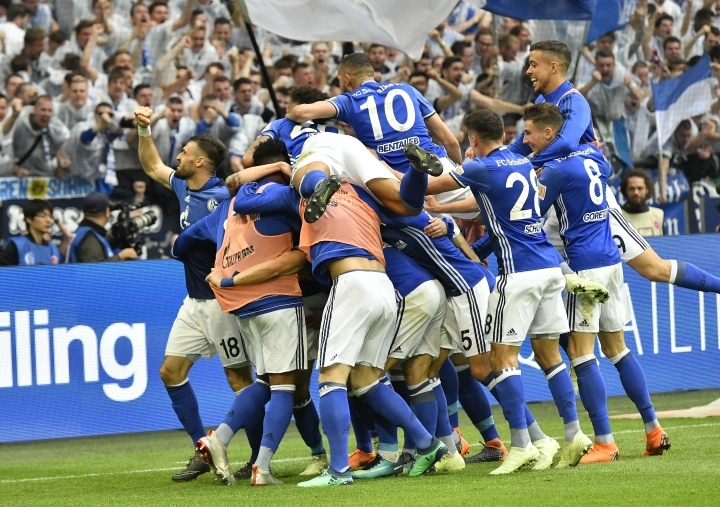 A derby win at this point in the season is a highlight," Schalke sporting director Christian Heidel said. Coach Domenico Tedesco celebrated with fans in the stands. "It's a privilege for me to be up there with the ultras," the 32-year-old Tedesco said. Dortmund's first derby defeat since September 2014 dropped the side to fourth, below Bayer Leverkusen on goal difference. Dortmund is four points behind Schalke and four ahead of Leipzig, held to a 1-1 draw at Werder Bremen in the late game. "We made individual mistakes," Dortmund coach Peter Stoeger said after his second defeat in 15 games. "They made better use of the decisive situations than we did." Schalke looked more likely to score in the first half, though Dortmund's Marco Reus went closest when he drew a good save from Ralf Faehrmann with a free kick. "We brought a lot of passion onto the pitch," Faehrmann said. "Everyone knew we could devour any opponent on a good day." Konoplyanka broke the deadlock five minutes after the break after a mistake from Marcel Schmelzer. 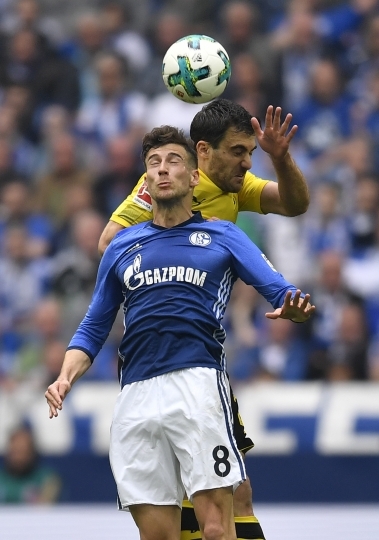 The Dortmund captain lost the ball to Daniel Caligiuri, who surged forward and found the unmarked Konoplyanka to pick his spot and blast inside the left post. Dortmund looked labored as it sought a response against the home side's well-organized defense, and Naldo settled the result late with an indirect free kick. Marco Pjaca tipped the ball to Caligiuri, who stopped it for Naldo. The defender hammered the ball past Dortmund's ineffective wall and inside the left post again. Dortmund's disappointing afternoon ended with Michy Batshuayi being stretchered off in injury time. The local Ruhr Nachrichten newspaper reported the Belgian striker, who is on loan from Chelsea, is suspected to have suffered a lower-leg fracture.